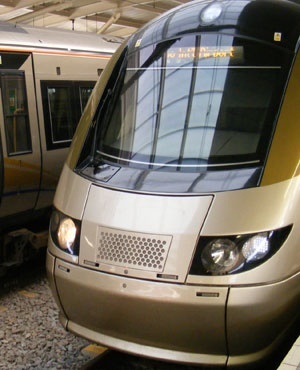 The Federation of Unions of South Africa told Fin24 on Sunday afternoon that it was on track to get a mandate from its members if it got a fresh offer from the Bombela Operating Company which the company hoped would bring an end to a strike at its Gautrain facilities. Fedusa is affiliated with the United National Transport Union, which downed tools Gautrain in late July, leaving operations offering only limited services. The Gauteng Provincial government expressed deep concern for the industrial action and its impact on commuters. Fedusa said UNTU had revised its demands downward ahead of talks with Gautrain management company on Sunday. UNTU was previously demanding 10% wage increase, but was willing to settle for a 9% basic salary increase. The union also revised its R20 000 incentive bonus demand downward to R15 000. The company’s latest offer was 8.6%. Fedusa general secretary Dennis George told Fin24 that talks were ongoing by late Sunday afternoon, but that the federation was hopeful for an offer that could be taken to members. “We are still busy with the negotiations. But we are making very good progress. We want to present a full package to our members tomorrow. We are trying to call a meeting tomorrow with members so that they can go through the proposals and make a decision,” said George. A statement from Fedusa said George would facilitate mediation talks between the Gautrain management company and UNTU on Sunday morning at Gautrain’s Midrand Depot. “UNTU which was previously demanding a 10% wage increase and an incentive bonus of R20 000 to cope with runaway food, transport and school fees inflation has revised its demands to a 9% basic salary increase across the board, a housing allowance of R1 400, a 9% increase to the travel allowance and incentive bonuses of R15 000 compared to the company’s offer of a 8.6% wage increase,” the statement said. Talks are ongoing. Fedusa and UNTU are expected to return to their members with an offer for a mandate on Monday.